This 2-story, luxurious, brand new 2006 villa has 5 BR/3 en-suite masters, 4.5 BA and a 30'x15' heated pool with SPA, sleeps up to 12 people comfortably. 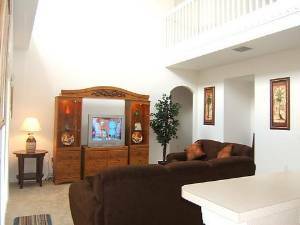 The villa has wireless high speed internet and fully air conditioned game room with pool table, foosball and game cube. There is gas BBQ too. 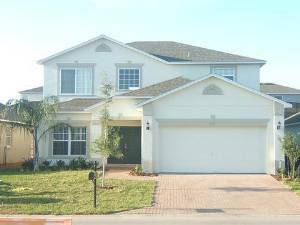 It is 10 minutes from Disney World, 5 minutes away from Champions Gate golf course and near all the major attractions. 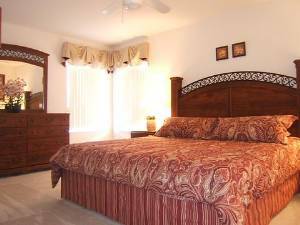 This spacious luxury vacation home has been furnished throughout by professional to the very highest standards and is beautifully decorated. 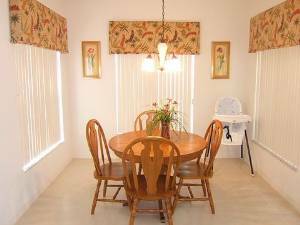 The house is fully equipped with all the amenities of your own home and with everything we could need ourselves. 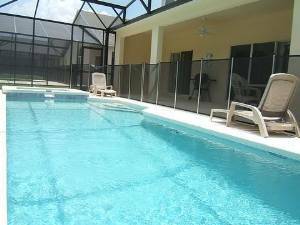 There is a screened-in private heated pool and spa with safety fence for your relaxation. The community has tennis court and children play ground. We use a highly recommended Management Company with friendly, 24-hour support for our guests. This quiet, peaceful and spacious villa can accommodate any family size up to twelve (12) people. Guests will enjoy the luxury of three master suites. 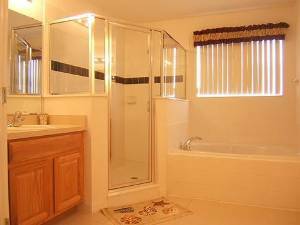 A wonderful vacation experience awaits you in the privacy or your vacation home. 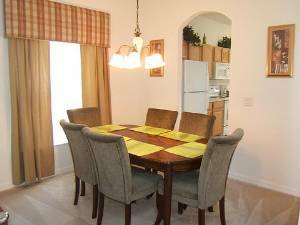 We are sure you would love our vacation home as much as we do. Nov/Dec/Jan/Feb/Sep ....... $730-795/week. Mar/Apr/May/Oct ........... $830-895/week. Jun/Jul/Aug/Holidays .. $860-$1050/week. *Please enquire about our special rates for bookings of more than *Ask about special late availability deals. *Pool heating is available at $160/week (recommended for winter). 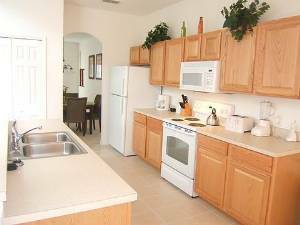 *We hold a short-term rental license.